On 28 June 2001, the red planet Mars was closer to the Earth than it had been for over a decade. This was when Vangelis presented his space choral symphony ‘Mythodea’ at the Olympian Temple of Zeus, in Athens. It was the first concert of this kind to take place on the sacred ancient site. The event was endorsed by the participation of the American space agency NASA. 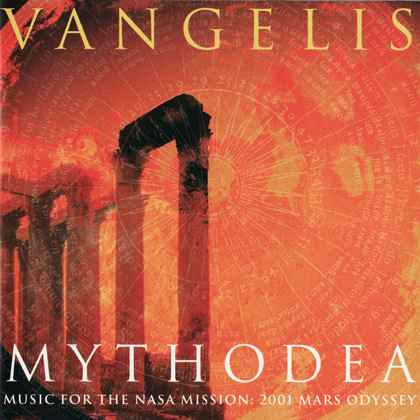 This was a great honour for Vangelis, as NASA chose his music to accompany its Mars Odyssey Mission. At the concert, Vangelis’ music was performed by world-renowned sopranos Kathleen Battle and Jessye Norman. The performance featured the London Metropolitan Orchestra, the Athens National Choir and Vangelis on keyboards – there were 230 performers in total. The visual effects displayed a spectacular show of space-related themes and projections relating to Greek mythology, which were displayed on a giant screen. It was an exhilarating musical and visual presentation which evoked a feeling of being transported into outer space. After the concert, Vangelis received the honorary title of Chevalier de la Légion d’honneur by the French Republic, for his exemplarity contributions as a civil servant. The concert was recorded and subsequently released on video. The album ‘Mythodea: Music for the NASA Mission: 2001 Mars Odyssey’, was also released.